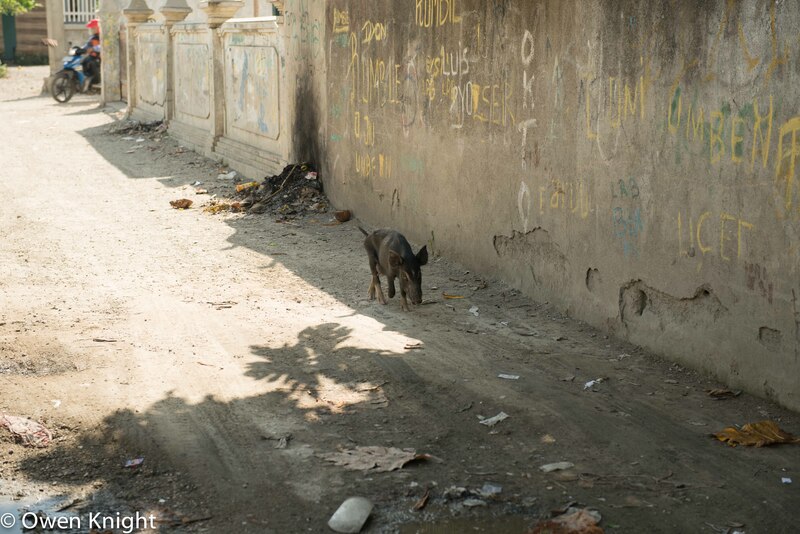 When visiting other countries it is only courteous to respect local people and ask their permission before taking their photographs, and to recognise that in many places the majority simply do not want to be photographed. 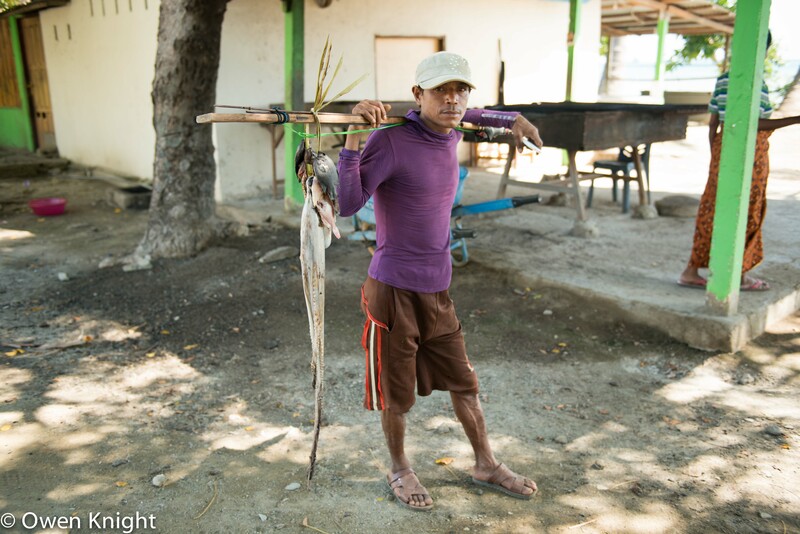 The people of Timor Leste are an exception. Seeing you with a large camera, they will often invite you to do so. I find this surprising, particularly given the troubled history the country experienced prior to independence in 2002. They are amongst the most friendly people I have met. I have now visited Timor Leste three times – quite unusual given that not many people in my home country have heard of it or know where it is. 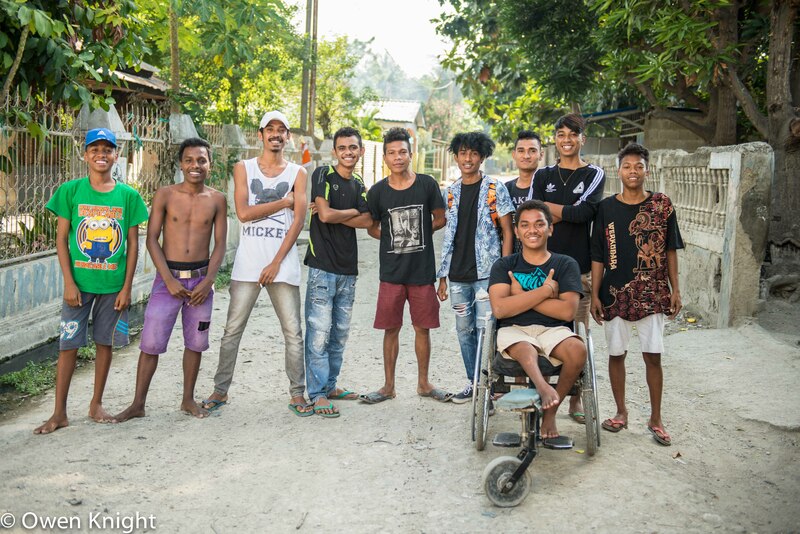 This small collection of photographs was taken in a single day, walking from Dili to Areia Branca and back, and are presented in sequence of shooting. 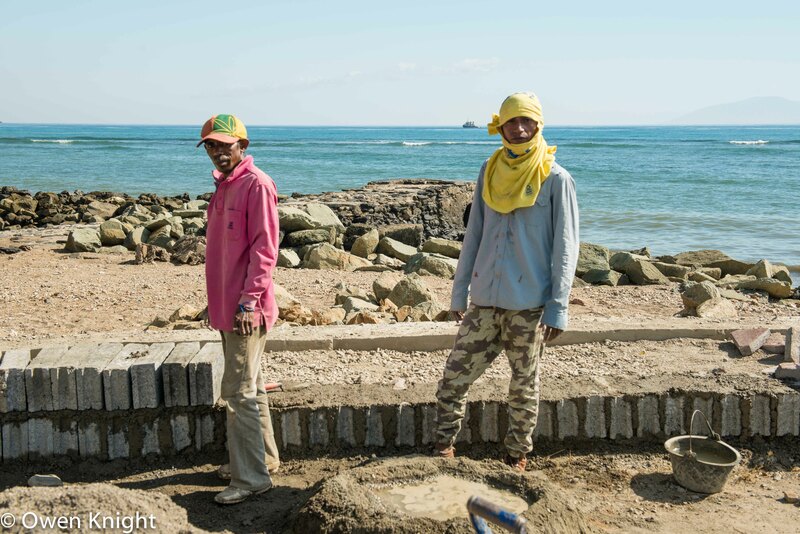 The men repairing the wall on the sea front, in the photo at the top of the page were the first to request a photograph. It was before 10am, but they were already well covered against the rising temperature. 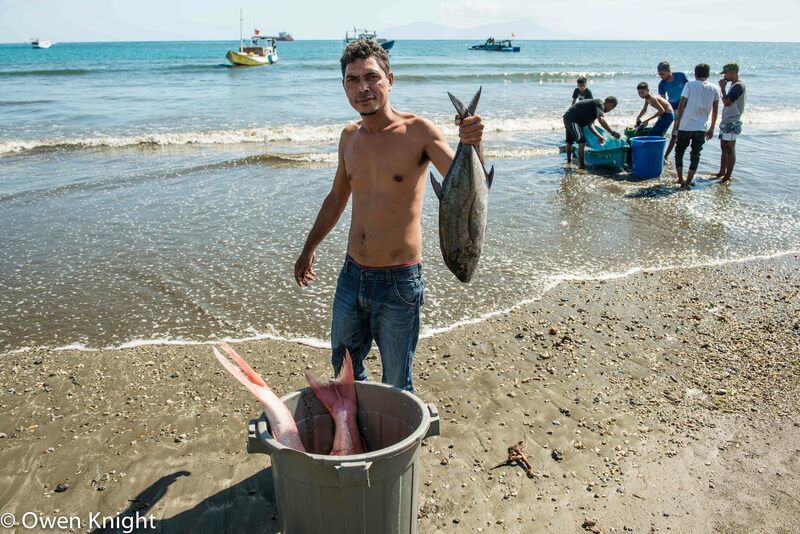 I was fortunate enough to arrive at a beach adjacent to a police post in Areia Branca as a fishing boat was being unloaded and the catch transferred to shore. I don’t know for how long the crew had been fishing, but the large buckets were quite full, including some impressively-sized fish, as this fisherman is only too pleased to show. 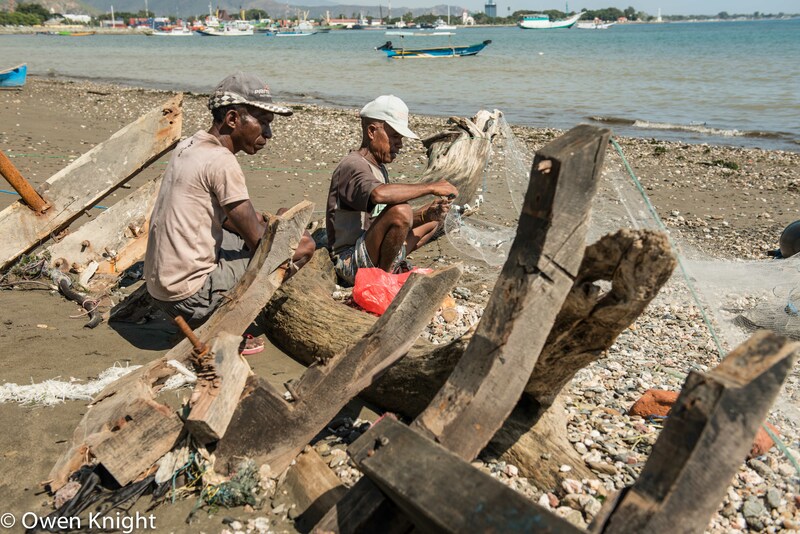 On the same stretch of shore, these men were busy mending their nets, ready for the next trip. `Young people, in particular, enjoy being photographed. These young men insisted on a picture. This fish seller and I did not share a common language, although he was happy to respond to my gestures. In return, he indicated that he would like some coins; I was happy to oblige. One of the more amusing encounters was with this man, out walking with his brother and his goat. He crossed the road to ask me to take his photograph. 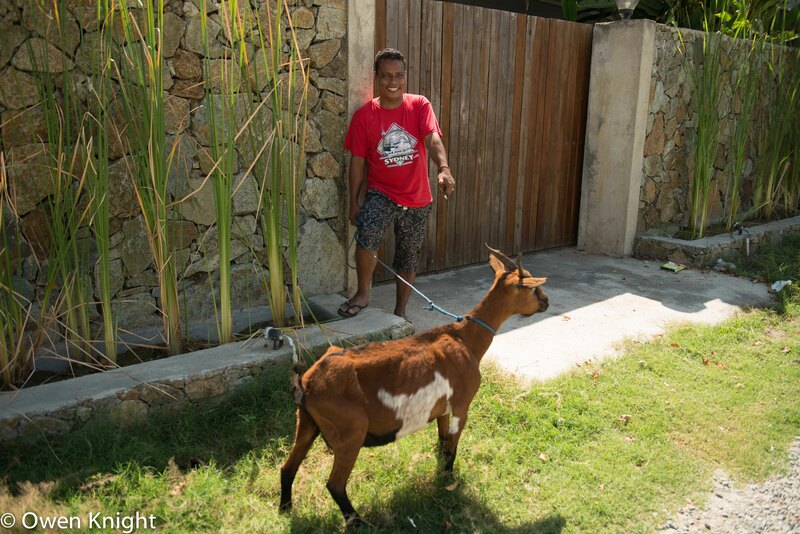 His brother remained on the opposite side of the road laughing, no doubt, at the idiot foreigner who wanted to photograph their goat. A group of students with their sharp haircuts and motorbikes were keen to get in the picture. Many Timorese are quite small and do not necessarily look old enough to ride a motorbike. One of my favourites… As the heat rose, I needed some liquid refreshment. 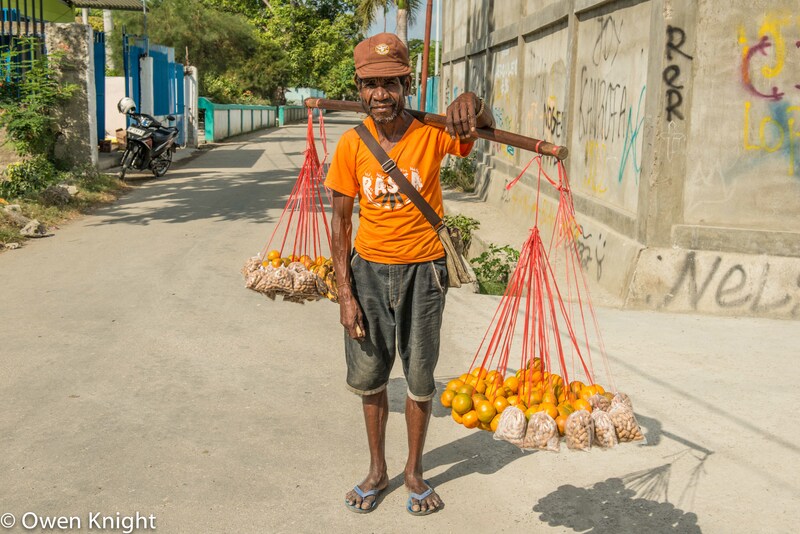 Fortunately I came across this orange seller (also selling nuts). I bought a bunch of fruit for what was probably a ridiculously high price, but I have no complaints. I gave him a little extra after he posed for the camera and gave the leftover oranges to some children. This group was a joy to meet. I was by now back in town in a large residential area populated by ordinary local families. I had just left the orange seller and although heading in the right general direction was, quite frankly, getting lost. I was a little apprehensive as I walked towards them. I did not need to be. Almost all wanted to shake my hand and ask where I was from, before posing for this group shot. I had had a wonderful day and, although my conversations with these characters were brief and simple, I felt I had experienced just a little more of their country than I might otherwise have done. Timor Leste is beginning to develop, but is still relatively unspoilt. I would thoroughly recommend a visit and, in particular, a long walk along the shore. Finally, one last encounter with a resident who did not stop to talk. Wonderful photographs Owen and great respect in your narrative for the culture and people.